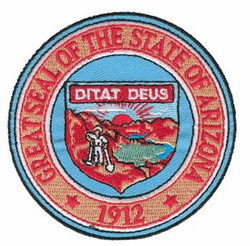 This Arizona State Seal 3" Patch is made by the company that supplies the United States armed forces. Our Military Patches make an excellent addition to your collection or a great gift. It's quality is guaranteed!